ESO – The Elder Scrolls Online – has just revealed the exclusive items returning to the Crown Store this month. 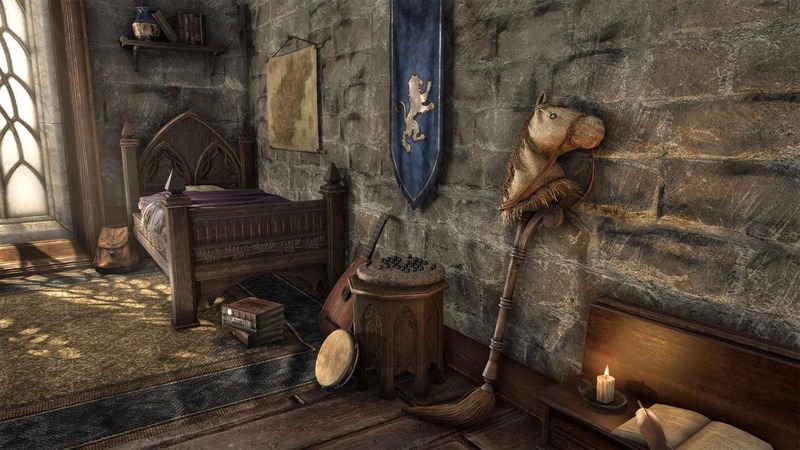 In conjunction with the Jester’s Festival and the Thieves Guild/Dark Brotherhood celebration events this month, most of the items reflect this. There are also some popular and fan favorite items coming back this March, so be sure to stock up on your Crowns. Here are our top 5 picks from ESO 2019’s March Crown Store showcase for you to window shop. 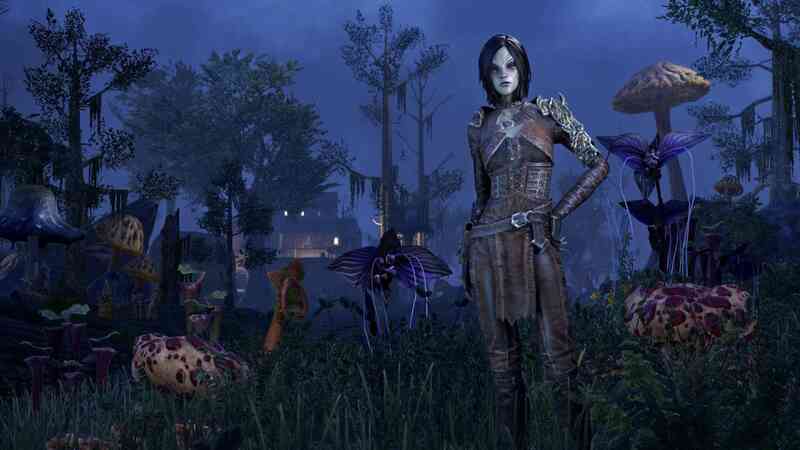 When it comes to personalities, nothing has been more popular in ESO than the Brassy Assassin. 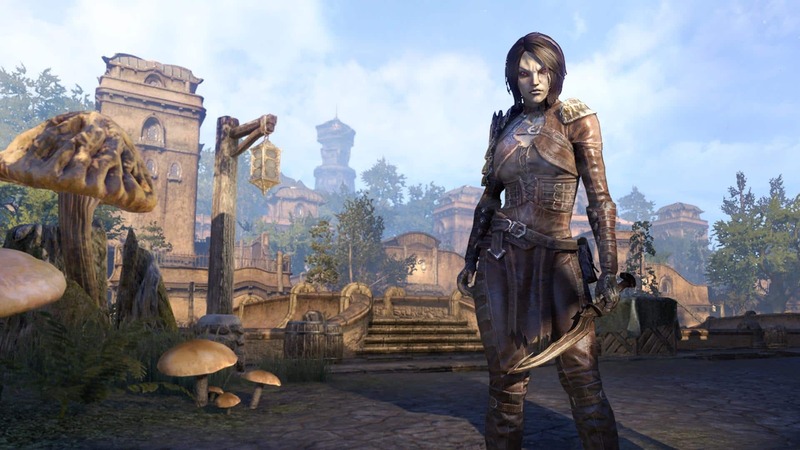 Players can bring out their inner assassin with this personality which will be returning to the Crown Store on all platforms for a limited time during the Thieves Guild and Dark Brotherhood Celebration Event. This runs from March 11 to March 14 at 10am EDT. Due to this only being available in the store almost once a year, be sure to pick it up or miss it until next year. For something less serious, here’s a fun one. If you’ve ever wanted to ride a mock or fake horse in ESO, this month is your chance to pick up the Novelty Stick Horse. During the Jester’s Festival even the lowliest of commoners can pretend to be a mounted knight with a whimsical Novelty Stick steed. Horses are popular in the Daggerfall Covenant, but ubiquitous among others seeking mounts. The Novelty Stick Horse mount will be available in the Crown Store on all platforms for a limited time during the Jester’s Festival, from March 21 to April 2 at 10am EDT. Do note that his mount comes in multiple varieties too, like a Guar and a Dragon. 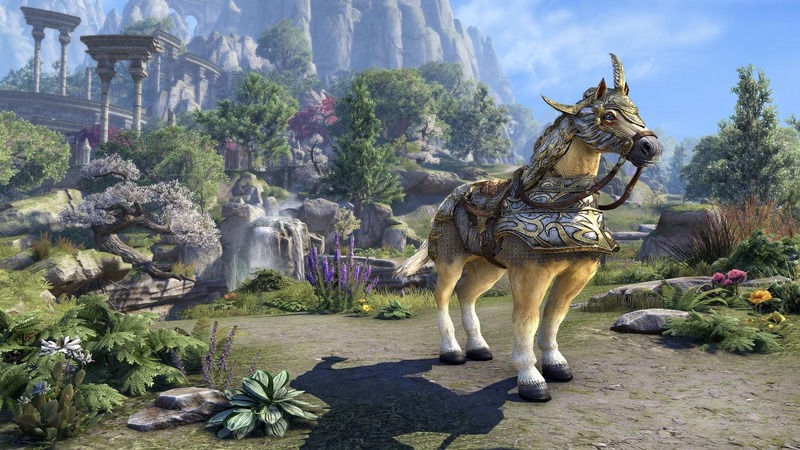 ESO mount collectors rejoice! It’s said that when Meridia’s Aurorans need mounts in Tamriel they conjure these shining Warhorses out of pure light. Perhaps so, but they’re certainly solid enough to support a heavily armed warrior at the charge! The Auroran Zenith Warhorse will return to the Crown Store on all platforms for a limited time, from March 7 to March 11 at 10am EDT. ESO Plus members will receive a discount on this item. Needless to say, one can never have too many mounts in ESO! Naryu Virian the Morag Tong assassin is nothing if not practical, and her functional, low-profile leather armor provides vital protection without compromising her agile acrobatics. If these traits appeal to you, this costume is a must-have! The Naryu’s Morag Tong Costume will return to the Crown Store on all platforms for a limited time during the Thieves Guild and Dark Brotherhood Celebration Event, from March 11 to March 14 at 10am EDT. Do you like to keep to the shadows, yet long for a striking look of your own? Any admirer of the Prince of Night and Darkness will appreciate this eye-catching costume. The Shrike’s Nocturnal Frock will return to the Crown Store on all platforms for a limited time during the Thieves Guild and Dark Brotherhood Celebration Event, from March 11 to March 14 at 10am EDT.